The United States has over 30,000 cities. Last week, the National Science Foundation gave three of those cities reason to boast by awarding them a share of $2.6 million Art of Science Learning grant: San Diego, Chicago, and, Massachusetts' own, Worcester. This is an incredible success for the Worcester arts and science community, which has been working for years to increase public support for innovative programming. This grant reinforces the work that has already been done in the city to promote arts-based technical innovation. Math) learning in Worcester, San Diego, and Chicago, as well as a new arts-based STEM curriculum; experimental research to measure the impact of arts-based learning on creativity, collaboration and innovation; and public programs using the project’s activities to advance civic engagement with STEM. This, the second phase of the grant program, will adopt science centers in each of the three cities, inculuding Worcester's EcoTarium, to act to incubate and support new ways to approach STEM education through art. Each site will bring together 30 cross-disciplinary innovation teams of STEM professionals, artists, educators, business leaders and students. The teams will learn arts-based techniques for generating, transforming, prototyping and communicating creative ideas and apply them to STEM-related civic innovation challenges. 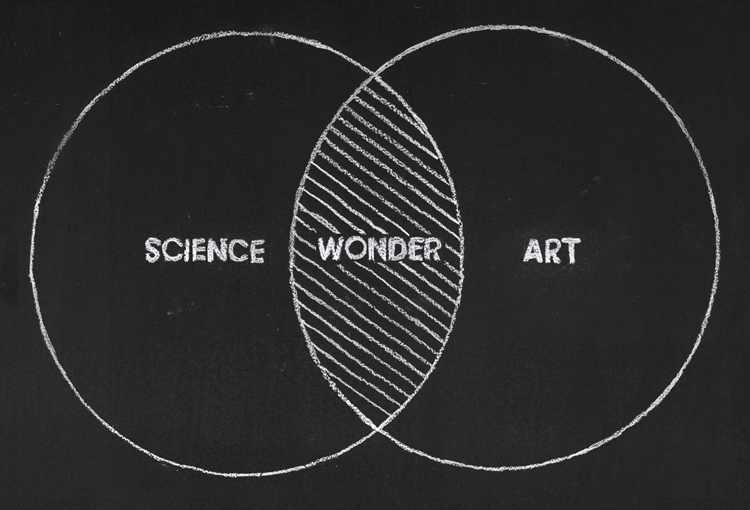 Adding art to science and mathematics is an equation I can solve for, and I like the way “x” is looking.